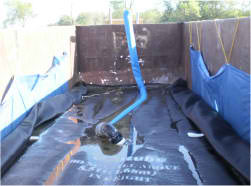 Geotube® dewatering is an effective way for managing agricultural waste from Confined Animal Feeding Operations, as it is both energy efficient and low-cost technology. The Goetube® works for lagoon cleanouts and closures, and manages nutrients very effectively (over 90% phosphorous and heavy metals removal; 50% nitrogen reduction). It also controls odour and produces high quality effluent water that can be used for irrigation. 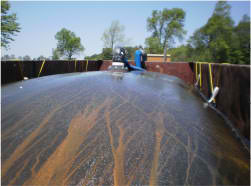 You can also set up a Geotube® dewatering system inline, so you prevent solids from entering a lagoon. You can store water for irrigation without waste that needs to be dealt with later, and the system doesn’t interrupt other operations. As Ontario continues to increase requirements in environmental legislation, the Geotube® solution will prove more and more valuable under the Ontario Nutrient Management Act requirements. 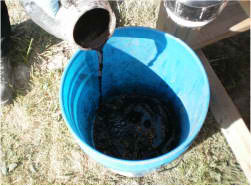 Interested in how the Geotube® can solve your sludge management challenges? Simply fill out this questionnaire.